← 37th ISA Women’s Final Results by Pix!! ISA President and CNSA President Depart From Calgary Airport. 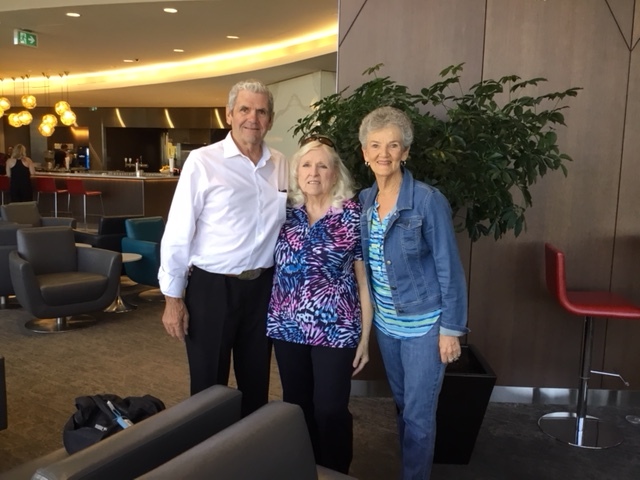 Myrna Bilton Speaks: Hi Stan: I’m with Jim & Marlene Corbeil at the Calgary Airport waiting to fly back to Toronto. We are reflecting on the wonderful “Western Hospitality” that we have experienced this past week at the 37th World Championship at High River, Alberta, Canada. Lots of hugs from our Shuffleboard Family this morning as we left our hotel. We all hope to meet again in Vienna, Austria in 2019.